My favourite time of year. Truly. Is it yours? 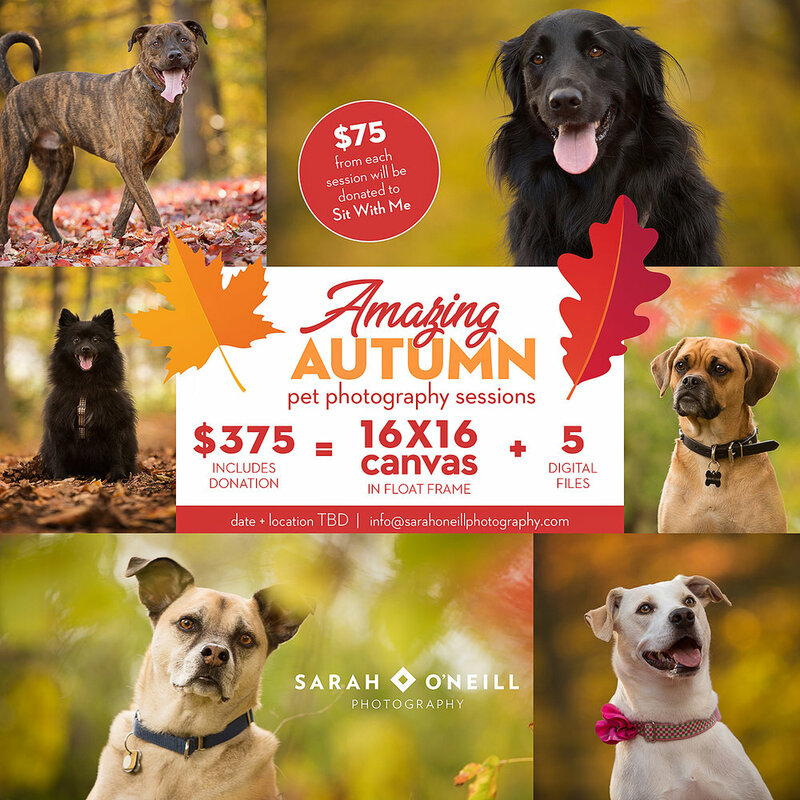 This is a beautiful time to have photos taken of your pet! Even though I now live in Pakenham, I have various locations to use around and in the Ottawa area. Although most clients are dog owners .. I welcome ANY pet for a session. Provided you can safely have them on a harness, I would gladly shoot any animal. My promotion this year includes an annual donation to Sit With Me Shelter Dog Rescue, a beautifully framed 16 x 16 canvas for your wall and 5 digital files. The digital files are large enough for printing up to 8 x 12. This offer includes up to three dogs. There is no set time for the session, we go for as long as I feel is needed for you to be excited and satisfied with your collection. Dates and times will be determined based on our schedules, I’m flexible during the week but keep in mind that best light is getting earlier and earlier, so weekends might work best. Leaves will start to change more rapidly in the next two weeks, I’m always watching and ready!